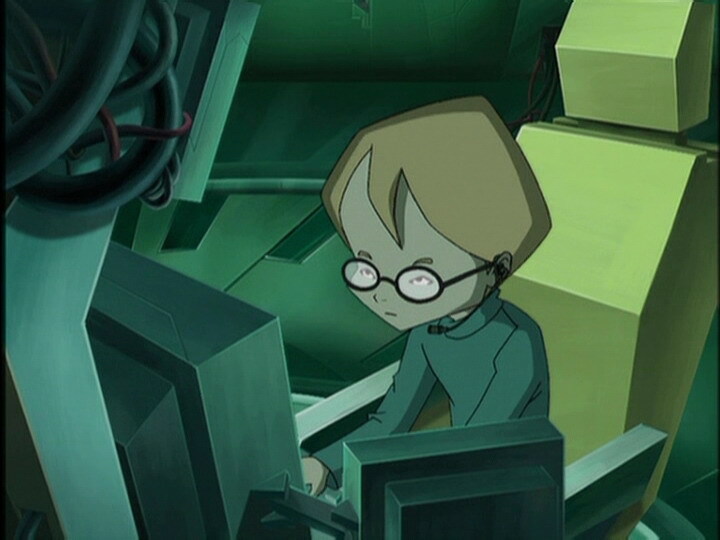 During one of Aelita and Yumi’s routine missions on Lyokô, Yumi suddenly and inexplicably disappears and then reappears inside one of the scanners in the factory. As she is unconscious, Jeremy, Ulrich and Odd take her to the infirmary. When she wakes up, she starts acting strange, insisting that they take her back to the factory. Her friends are still wondering how it is that she was sent back to the real world before it was time… What the boys don’t know is that the real Yumi is still on Lyokô, held prisoner by X.A.N.A, while an evil and almost indestructible clone has taken her place in the real world. The clone has but one mission - to destroy our heroes ! 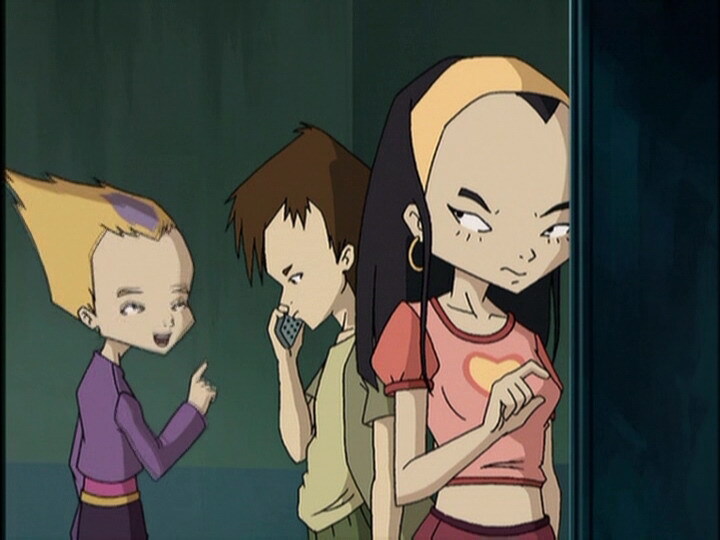 An unsuspecting Jeremy sends Odd and Ulrich to Lyokô to help Aelita deactivate a tower. In so doing, he ends up alone, face-to-face with the real X.A.N.A creature. Only the real Yumi, once she is freed by her friends and gets back to the real world, can face up to the clone at the last minute. Everything seems calm in the Ice Sector, a silence broken only by the sound of Aelita and Yumi's running. The two young girls are on a reconnaissance mission, because a tower was activated, then deactivated itself. Arriving at the spot, everything seems normal and Aelita goes to check the inside of the tower. Outside Yumi feels like she's being watched. 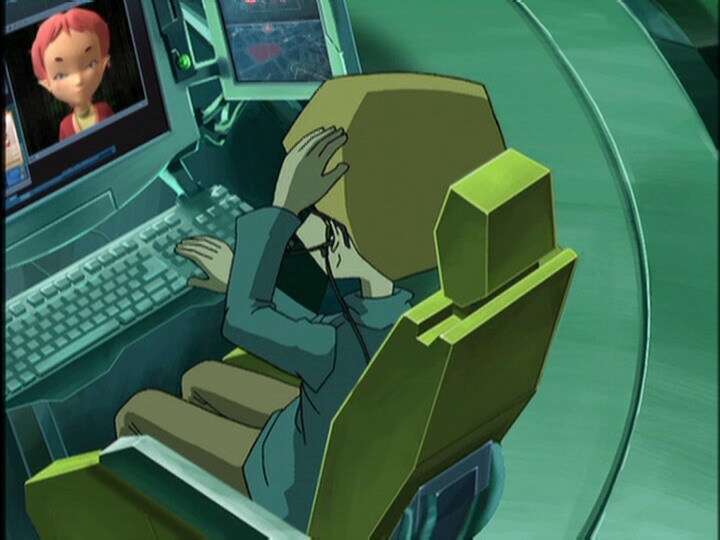 A girl's scream suddenly erupts from Jeremy's computer, while Yumi disappears from the holomap and reappears in one of the scanners, unconscious. The unconscious Japanese girl is transported by her friends to the infirmary and left in Yolanda's care. Yumi regains her spirits quickly and gets up in a mechanical fashion. Yolanda tries to stop her, but the Japanese girl gives her an obscure look, picks the nurse up and throws her onto the bed. In the virtual world, Aelita spots something abnormal and climbs to the top of an iceberg. A strange orange sphere is floating not far off the ground emitting a continuous buzzing sound. 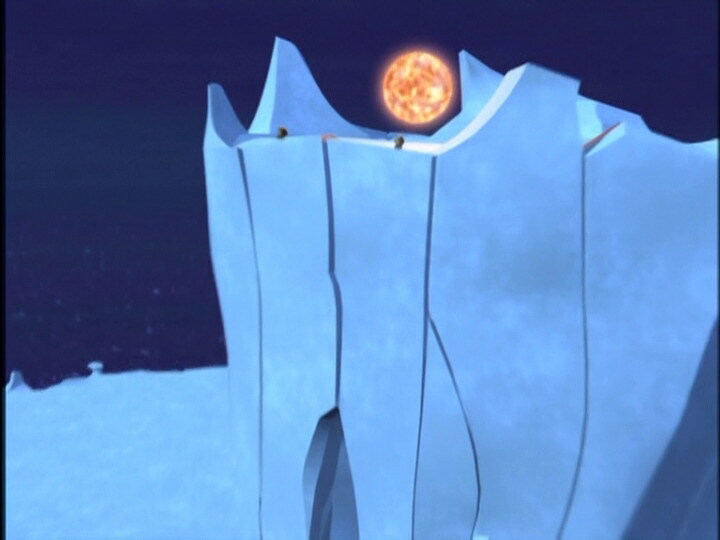 Aelita can't see what the sphere contains, because she is too far away and the place is guarded by Kankrelats. Yumi's behaviour continues to worsen: she knows nothing about how she was devirtualised, isn't at all bothered by Sissi's bullying and then proposes that Ulrich go out with Sissi. Mr Delmas comes in not long after; the Japanese girl assaults him so he won’t contact her parents and Jim is offended when she doesn’t say hello to him. The abnormal behaviour reaches its peak when Yumi begins to flirt with Jeremy to convince him to take her to the factory, and prepares to kiss him. Far away, on the virtual world, Aelita finally discovers the contents of the orange sphere which is called a Guardian: Yumi, unconscious. The one at the school is a fake! When Ulrich discovers the fake Yumi just about to kiss Jeremy, he cracks and leaves, Jeremy hot on his heels. He tries to persuade Ulrich that Yumi isn't herself. He doesn't hear Aelita who is trying to alert him to her discovery. The fake Yumi, left to wait, trashes Jeremy's room and disappears. When the group sees the mess, they decide to go to the factory. There they discover that the tower from the beginning has been reactivated. Odd and Ulrich travel to the Ice Sector, without the fake Yumi who stays on Earth in the scanner room and starts to unplug the huge cables at the back of the scanners to disable them. Aelita explains the situation to Odd and Ulrich, and the trio head to the Guardian to free their friend from her prison. On his end, Jeremy goes to confront Yumi's clone by himself, to limit the damage. The Kankrelats don't have a chance faced with the ravaging assault of Odd and Ulrich, just as Jeremy doesn't stand a chance against the super powerful Yumi clone. The real one is released from her prison by Aelita who creates an illusion of the girl, duping the Guardian, which releases the real one to replace her with the illusion. Briefed on the situation, the real Yumi Ishiyama implores Ulrich that he devirtualise her with his katana, so she can return to Earth and confront her double. 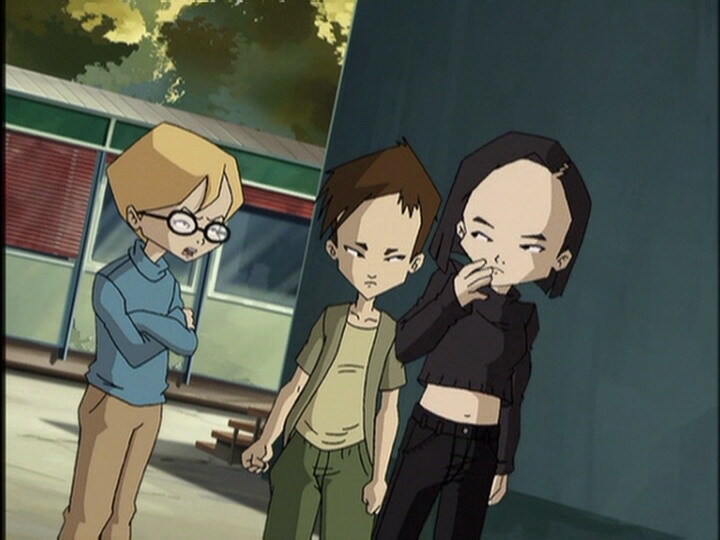 The group on Lyoko leaves to deactivate the tower, while Yumi defends Jeremy and the scanners from the clutches of XANA's creature. 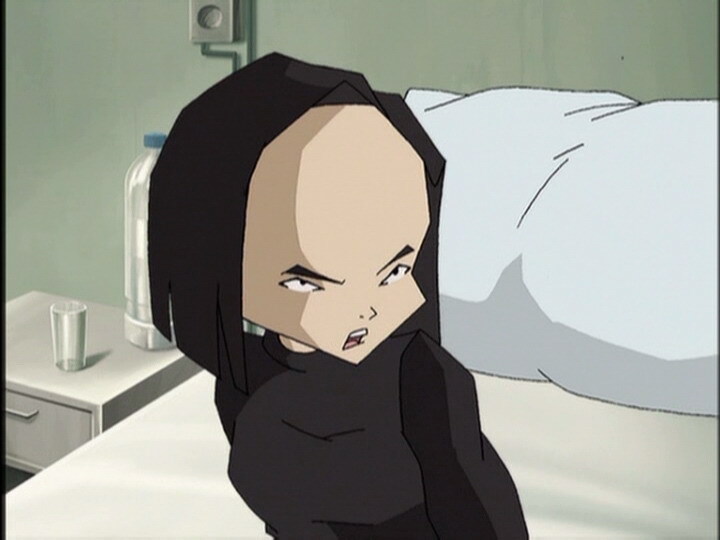 The heroes achieve victory on Lyoko, but the false Yumi remains, and prepares to assassinate Jeremy in the presence of the clone's original model. Faithful to her job, Aelita enters the Code Lyoko in time, making the clone disappear. The Return to the Past is launched and everything goes back to normal. 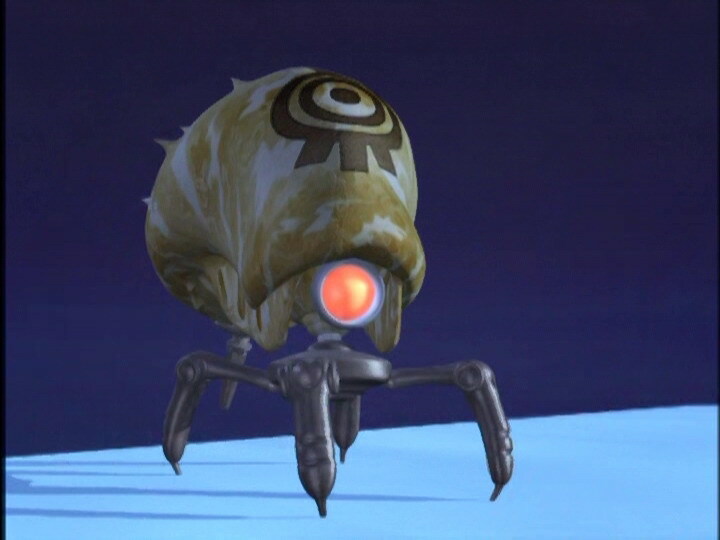 - Attack: Imprison Yumi in a Guardian and send a clone of her to Earth so it can destroy the scanners. - First materialisation by XANA. - First appearance of Yolanda Perraudin. 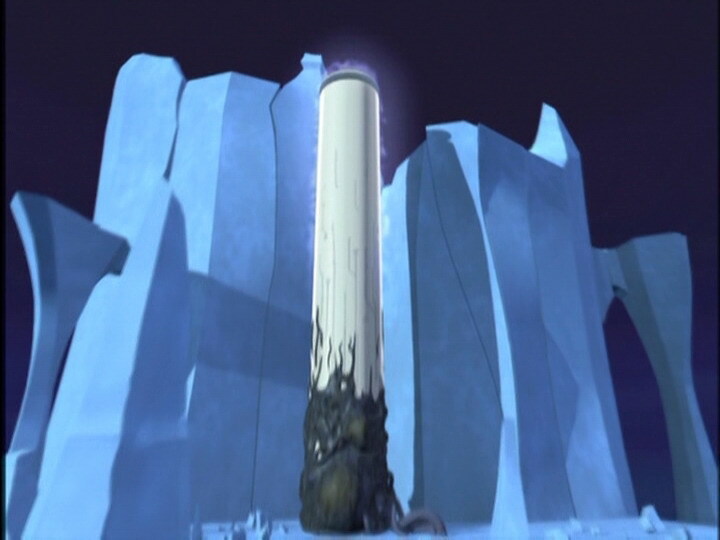 - Only episode in which XANA’s active tower doesn’t have a red halo after launching the attack. - First mention of Yumi’s last name. - First time Aelita creates a fake Yumi to trick a Guardian. - First time XANA damages the scanners to prevent our heroes from returning to Earth. - According to Odd, being devirtualised isn't very pleasant. - Jeremy has the habit of closing and locking his dorm room when he leaves. - Despite his attraction to Aelita, Jeremy isn't immune to Yumi's charm. - The wire of the factory computer microphone disappears in one shot. - The door of Jeremy's room is sometimes brown instead of grey. - Ulrich's t-shirt is white in one shot in Jeremy's room. - The open hours of the infirmary are absent in the first shot in which we see the door. - The marks under Nicolas' eyes disappear at the moment when he's leaving class. - At the moment when the return to the past is launched, we see that it's night time even though the episode took place during the day. 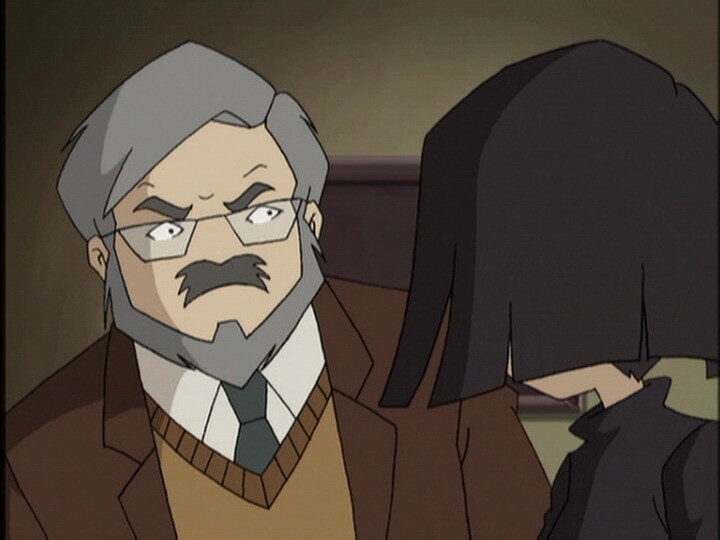 - In five shots during the scene with the fake Yumi and the principal, his moustache is the same colour as his beard. - Just before Jeremy activates the lift button to go see Yumi (her evil clone) devirtualised, the location of the switch is different. - When Ulrich says that Yumi wasn't transferred, the computer screen shows Aelita's icon with Ulrich and Odd as well as three monsters although she was only being pursued by two Kankrelats. - The patterns on the principal's jumper disappear when he gives Yumi's double two hours of detention and before she says "Not my parents" while glaring at the man. 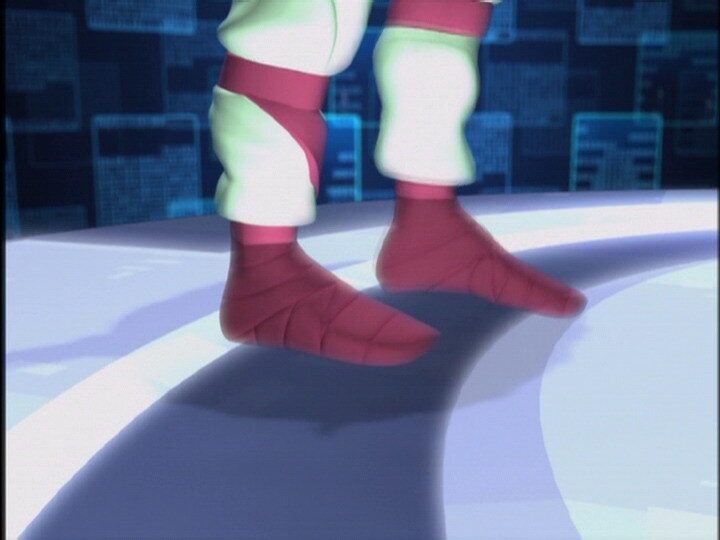 - Odd's pants are entirely the one shade when Yolanda shoos them out of the infirmary, when he's with Odd and Ulrich in the hallway of the dorms, and when he has his legs crossed on the desk; before entering Jeremy's room the colours are inversed, and they are the same colour again when Yumi's clone enters Jeremy's room. - Yolanda’s name is changed to Dorothy and remains that way throughout season 1. It changes to Yolanda (or Yolande) from season 2 onwards. - First appearance of the heroes, Kankrelats and the Guardian in the Ice Sector. - First time one of the heroes (Yumi) is devirtualised by one of their comrades to get back to Earth and help Jeremy. - It should be known that this episode posed problems because the editor in charge left during the writing and Bruno Regeste took over. Odd: Erk! Hey, what’s wrong with the hot chocolate today? It tastes like dirty sweat socks and an old pair of sneakers! Sissi: Yoohoo! Hey! Ulrich! Yoohoooo! Odd: Uh-oh! What do you know, your fanclub! Sissi: I don’t believe it! Your darling Yumi’s deserted you for once? Odd: Like your brain, huh? It deserted you a long time ago! Odd: I recommend the hot chocolate! Take my word for it! Yolanda: Well then, what happened to her? Jeremy: Uh…well she started feeling sick…during recess! Odd: It’s ‘cause she’s been studying real hard! Our teachers give us way too much homework! Ulrich: Well in any case, something abnormal happened. Jeremy: Yeah, that’s for sure. The proof is she passed out in the scanner! Normally the return trip’s pretty easy! Odd: Huh! That’s what you think! You ought to try it one of these days, you’ll love it! Fake Yumi: Come on, let’s go over to the factory now! Ulrich: In your condition? That’s a pretty crazy idea. Odd: Hey listen, we’ve got more important things to do! Like eating, for example! Odd: Hey, do I smell fish or just cheap perfume? Sissi: You’re such a riot! Uh, Ulrich? What do you say we get together after school? Sissi: Oh…you’re showing off because Yumi’s here, huh? Mademoiselle likes to keep the competition as far away as she can! Fake Yumi: That’s not true! (to Ulrich) Why don’t you go out with her? She’s really pretty! Sissi: Hey…you wouldn’t be…trying to make fun of me, would you? (Fake Yumi looks up at her then back down again) No? Ha, great! Thanks a lot, Yumi! Ulrich? I’ll be waiting for you in the park after school! Ciao! Ulrich (to the fake Yumi): What are you trying to pull anyway, huh? Fake Yumi: Nothing! Go on, go out with her! She’s been waiting for this for ages, go on! Herb: Ulrich! What’s the big idea having a date with Sissi, huh?! Jeremy: Ok, I’ll leave you to your love stories! I’ve got a super-psychopathic computer to feed! Jeremy: I…uh…I’m not sure it’s a good idea! You should go home and get some rest! Yumi: Come on, take me to the scanner room! Jermie (blushing and sweating): Uh…b-b-b-b-m-m-you should go home and take a bath! No, a cold shower! Very cold! Very, very, very cold! It’ll calm you down! Jeremy: Ulrich! No, wait! I-it’s not what you think! I swear, Ulrich! Wait! Odd (to the fake Yumi): Bravo! Jeremy: Ulrich! You have to listen! Ulrich: I don’t wanna listen to you! Jeremy: Ugh…something’s not right with Yumi! She’s not in her normal state! I don’t know what she’s been thorough, but she’s traumatised! Jeremy (discovering his room a mess): Oh! All my equipment! Ulrich: You think Sissi’s behind all this? Jeremy: Why would she want to do it? Odd: Hey maybe it’s Herb, he sure was mad when we saw him today! Jeremy: Wait, who was the last one to leave this room? Ulrich: Oh no. (flashback of Yumi) No, that’s impossible! Not Yumi! Odd: Huh! You gotta admit she’s been acting weird lately! Aelita: Hurry, we’ve got to go and free Yumi! Aelita: The real Yumi! 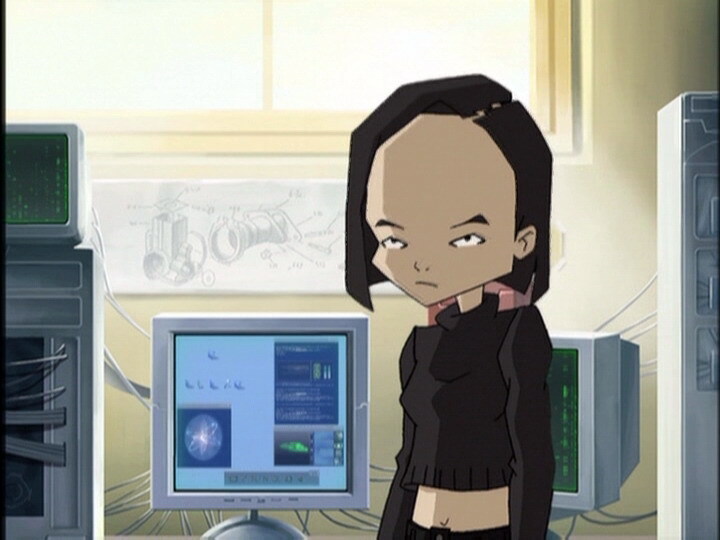 The one who’s here on Lyoko, the other one was created by XANA! Jeremy, whatever you do, don’t go anywhere near Yumi. Do you hear me, Jeremy? Jeremy?! Odd: Huh, wow! Piece of cake! Ulrich: He’s all alone with the other one. If she destroys the scanner, it’s all over! Yumi: Other? The other what? Who wants to wreck the scanner? Yumi: And also I have a little matter to deal with that only I can settle…it’s between me and myself. Ulrich: Then you go. But first you have to devirtualise yourself, the question is how. Yumi: You’re armed, aren’t you? Yumi: You know what? You look just like me when I’m having a bad day! Ulrich: How many life points do I have left? Odd: Uh…I don’t know, but it’s got to be less than 10 by now! Odd: I’m still here? Well I guess I messed up in my calculations! Ulrich: You always were a washout in math! Odd: Right, but thanks to you I can count to three! Aelita: That’s fantastic! 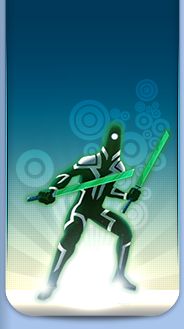 The fact that XANA was able to materialise another Yumi proves one thing! It proves that materialisation is really possible! Yumi: That’s crazy! XANA’s helping us with our materialisation research! Odd: But why bother? If I were you, I’d go and see XANA! He’s got the answers, so ask him! Ulrich: I wouldn’t trust him! Look at the Yumi he sent us! Odd: Oh yeah, she wasn’t that different from the original! Jeremire: She sure was! She didn’t fool me! I-I saw the difference! As soon as she started to flirt with me! Yumi: Really? Are you sure? Do you have any proof that it’s the real me you’re looking at? Jeremy: Uuuhh…w-what are you doing? Ulrich: Oh no, cut it out! I’ve had enough of that for one day! Yumi: You’re not jealous, are you, Ulrich? Odd: Sure looks like it!